Comments: Simply excellent "tattle tale" book, which really doesn't merit that rather derogatory classification. 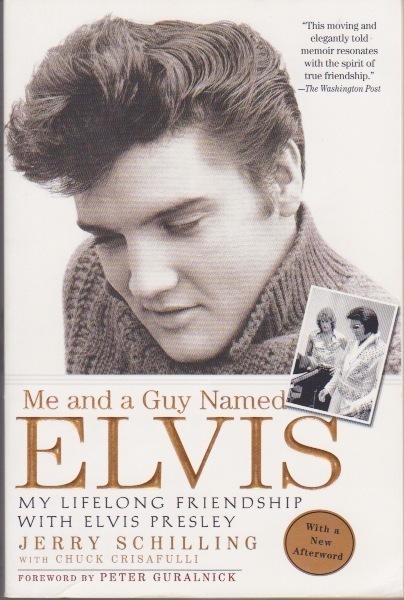 A sensitively told account of Jerry Schilling's peculiar friendship with Elvis, whom he first met in 1954 when Schilling was just 12 years old and Elvis had only recently recorded his first Sun cuts. The tale contains no hyperbole, no self-aggrandisement, no malice. Instead, it is simply honest and highly readable. A remarkable book that gives a superb insight into Elvis the man as much as Elvis the entertainer, while telling a lot about the author, too. Please note that, while the book is in otherwise excellent condition, it does carry overstock marks (black stripes along bottom pages).